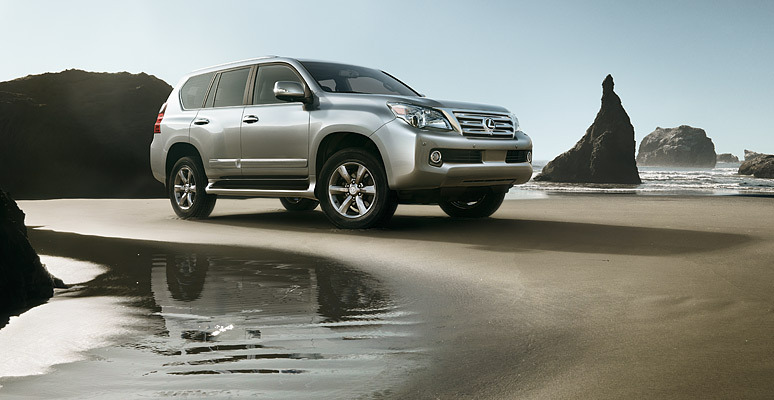 The new 2010 Lexus GX is an amazing SUV, and it ranks in top 15 luxury SUVs. This review is based on analysis of different published reviews and experience shared by the test drivers of Lexus GX. The new GX is redesigned and shares a platform with Toyota 4Runner. Consumers were waiting for the new model because it is the first redesign after the debut in 2003. 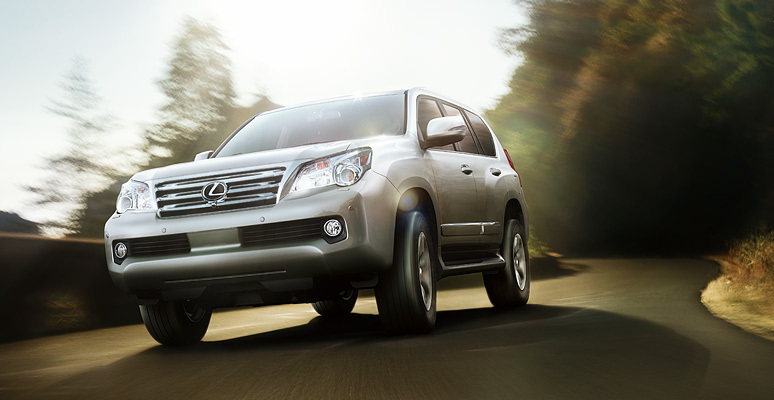 It becomes the GX 460 with the new powerful V8 engine. Lexus GX also comes with new attractive exterior styling, updated interior design and seating for seven. The on-road performance is not as good as other crossover rivals, but reviewers still appreciate its uniqueness. There are just few three row off-road luxury SUVs and GX is one of them. It is one of the most expensive SUV in its class after BMW X6. Price is the only consideration while purchasing Lexus GX. The base model starts at $52,000, and the premium option costs $6,000 more. The fuel economy is also about average with 15 mpg in city and 20 mpg on highway. It is the best alternative to LR4, but GX is not attractive as Land Rover LR4. The new redesigned Lexus GX offers a smooth driving experience, a more powerful and fuel efficient V8 engine. However, a few reviewers are not happy with its body-on-frame construction. The redesigned GX gets a new 4.6 liter V8 powerful engine to replace the old 4.7 liter. It produces 301 horsepower and six more pound feet of torque. Lexus GX comes with a standard six speed automatic transmission. Most of the test drivers complain that it still feels sluggish because GX has gained 500 pounds with the redesign. The new Lexus GX has still so much to offer, and we cannot ignore the sheer power produced by V8 engine. The fuel economy is not good, but has improved from previous version. The ratings show 14 mpg in city and 18 mpg on highway. Fuel mileage is better than LR4, but not good as compare to other SUVs. Anyway, you cannot find the best fuel economy in a luxury off-road vehicle. There is an advantage in GX due to its Eco indicator that it lets you know when the vehicle is being driven in the most fuel efficient manner. GX off-road skills are not comparable with other SUVs. You will love the off-road performance. On-road driving and handling is not as smooth as other SUVs. There is a new feature like Kinetic Dynamic Suspension System standard in new GX, which adjust automatically according to different terrains. The premium model also offers Electronically Modulated Rear Air Suspension, which helps rear of the vehicle remains at the selected height even it is loaded with heavy cargo. 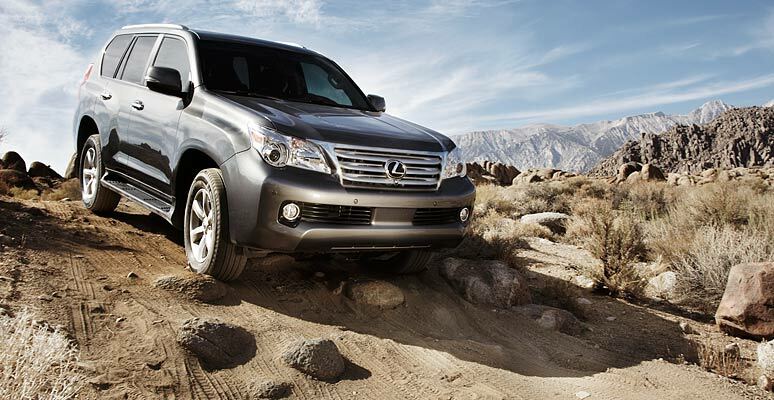 The Lexus GX plus is its off-road abilities. It comes standard with four wheel drive system. There is an optional Crawl Control system, which controls vehicle acceleration and braking in different and difficult terrains. There are other optional features like Pre-Collision System, which also comes with Dynamic Radar Cruise Control. There is so much to mention about GX interior. The new Lexus GX cabin stands out from other SUVs for luxurious and high quality materials. The controls are easy to use, but reviewers say the sheer number of them can confuse for the first time. The seating capacity is also very impressive. Like every other SUV, first row seats are most comfortable and rest are adequate. A leather trimmed interior is standard in GX. There is premium model upgrade to perforated Semi-aniline leather. Heated and ventilated front seats are standard in all models. The new model is loaded with standard features and optional luxurious touches. The standard features in the base model includes remote keyless entry, dual-zone automatic climate control, 10-way power-adjustable front seats, heated front seats, XM Satellite Radio, a nine-speaker Premium Sound System, a USB and iPod port and Bluetooth connectivity. power-folding outside mirrors The premium model comes with power-folding outside mirrors, three-zone automatic climate control, heated steering wheel and heated middle-row outboard seats, and a Perforated Semi-aniline leather-trimmed interior. There is optional HDD Navigation System available on both the models. There are other optional features can be added with a premium price. The cargo space is also sufficient GX provides 64.7 cubic feet of cargo space, which is about average in its class. Lexus GX exterior is now more attractive and received a long overdue update. Reviewers like the new heavy, modern, muscular look. However, the rear door still opens like a traditional car door. The new Lexus GX is the safest car to drive. However, there is not crash test data on GX. 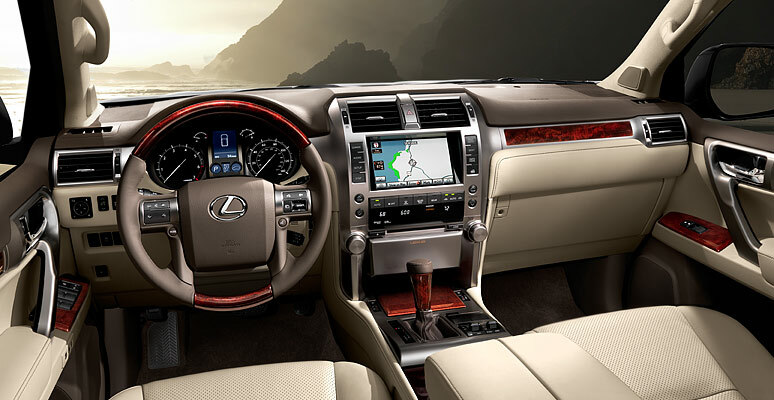 The Lexus GX comes with 10 airbags including driver’s and front passenger’s knee airbags, middle-row outboard seat-mounted side airbags, and front-, middle- and third-row roll-sensing curtain airbags. There are number of standard safety features like a backup camera, Electronic Brake force Distribution, Anti-lock Braking System, Brake Assist, Vehicle Stability Control and Hill-start Assist Control. The premium model comes with Adaptive Front Lighting System and High Intensity Discharge Headlamps with Dynamic Auto Leveling. Lexus GX has received 5 out of 5 points in reliability, and it is very rare in luxury SUVs. GX comes with four years or 50,000 miles warranty and six years or 70,000 miles power terrain warranty. **Ratings are based on different published reviews and calculated out of 5 (5 being top).